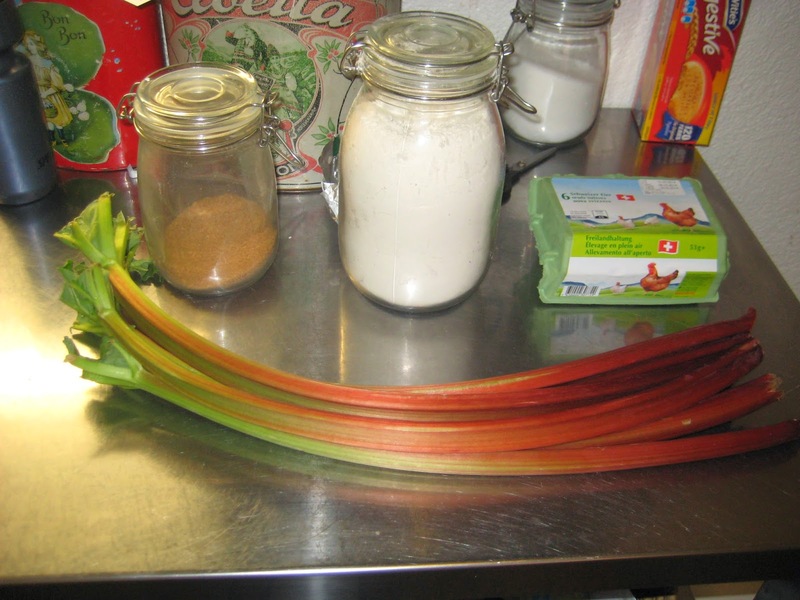 It's April and rhubarb season again! One of my favorite fruits in desserts. 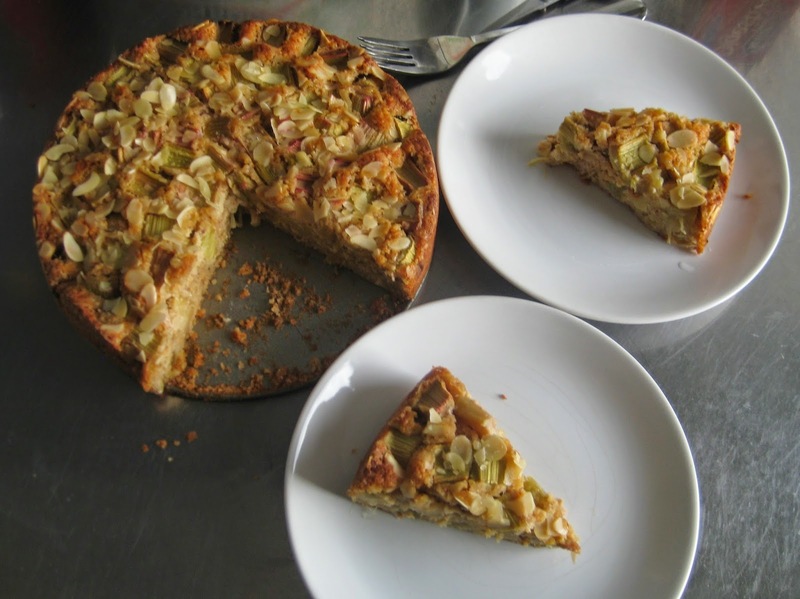 Technically rhubarb is classified as vegetable but most people eat it as fruit in desserts :-) Rhubarb is one of the only seasonal fruits in Switzerland in April-May so I thought I would bake a cake with my freshly-bought rhubarb. 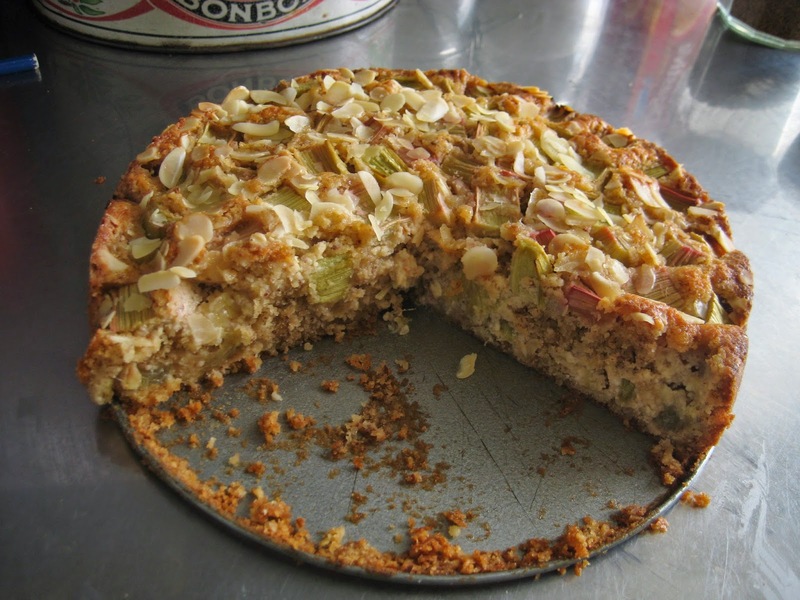 Last year I made rhubarb-walnut muffins and a rhubarb crumble tart so I wanted to make an easy cake for coffee. 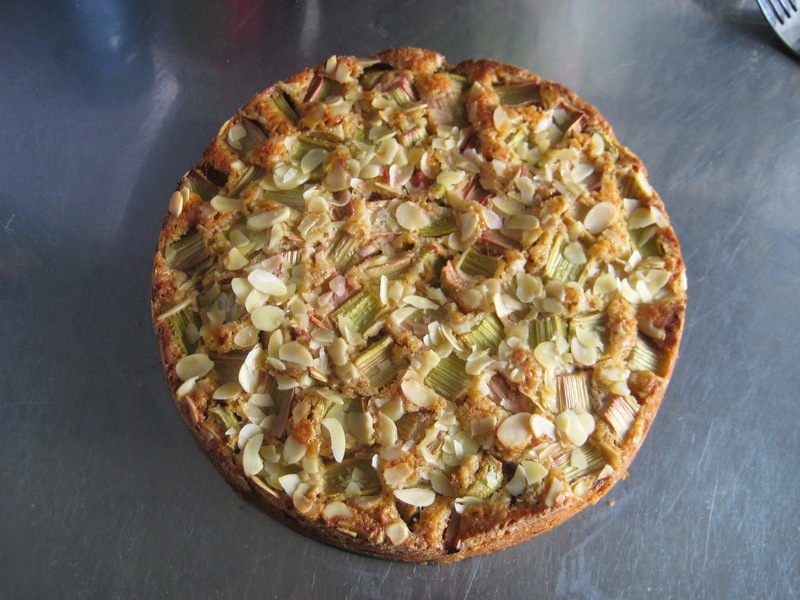 I read a few recipes of rhubarb and almond cakes so I combined them to my taste and found that the recipe below is easy and very good! 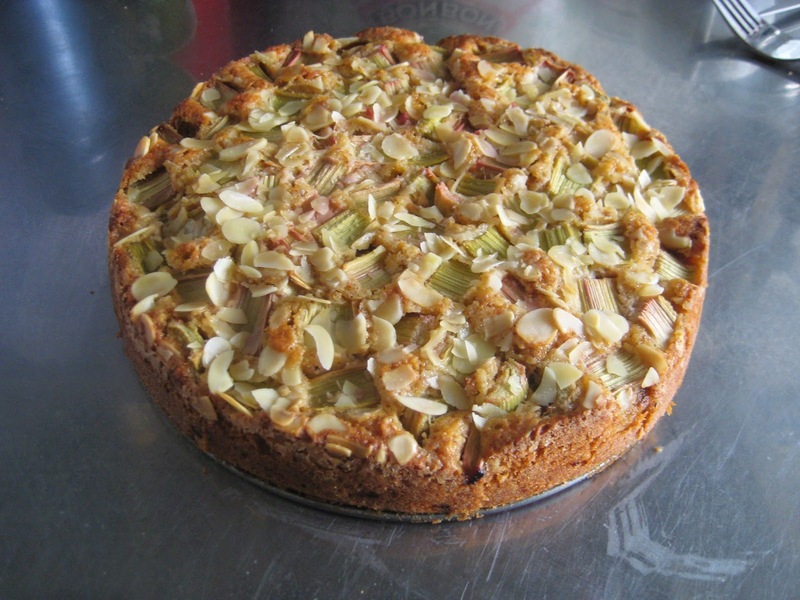 If you like rhubarb, almond and a pinch of cinnamon, this cake is for you! Cream butter and sugar. Add eggs one by one. Add flour and baking powder, mix. 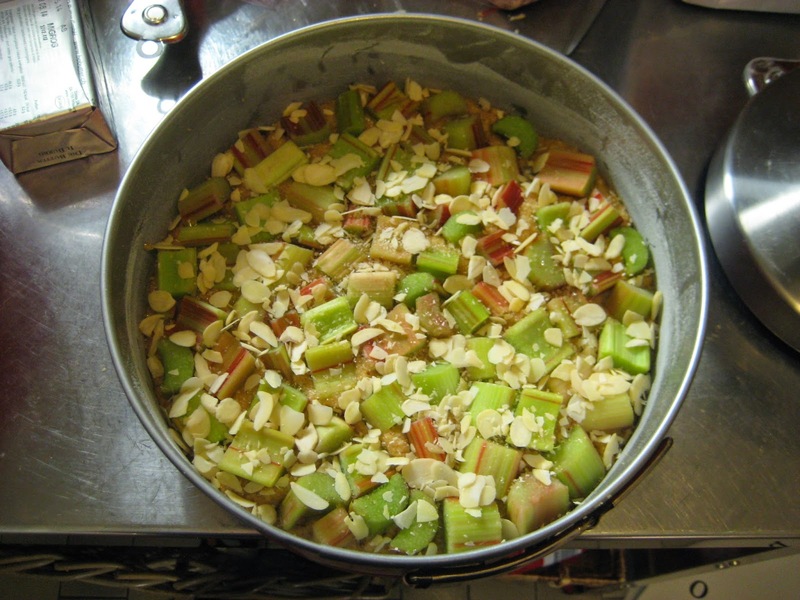 Add cinnamon, almonds, milk and mix roughly. Spread 1/2 of the dough in a prepared springform. 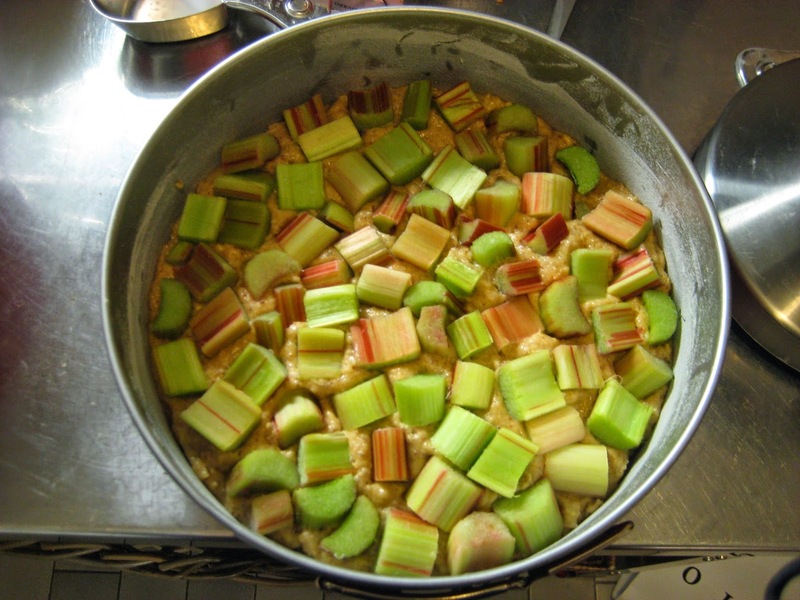 Place 1/2 of the rhubarb chunks (2cm pieces) on it. 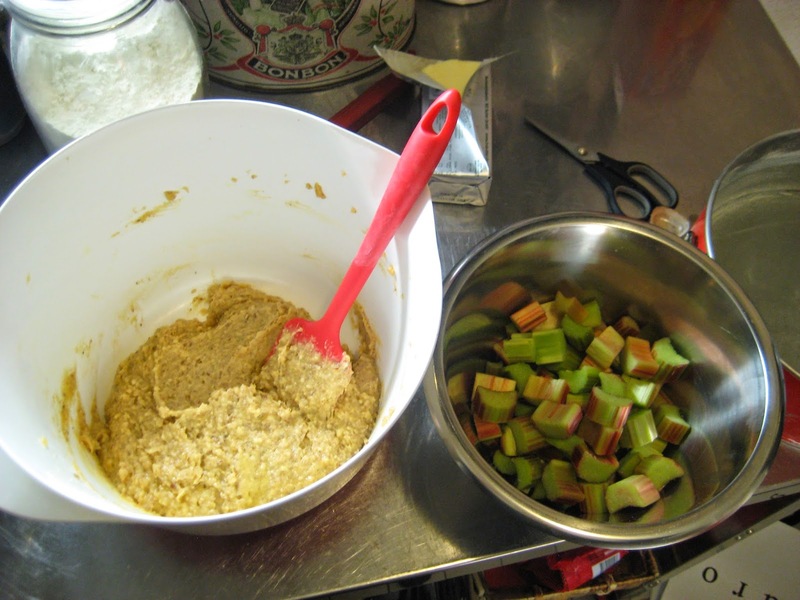 Cover with other 1/2 of dough and press second 1/2 of rhubarb on top. Sprinkle some brown sugar and sliced almonds on top of the cake. Bake 55-60 min at 180 C.